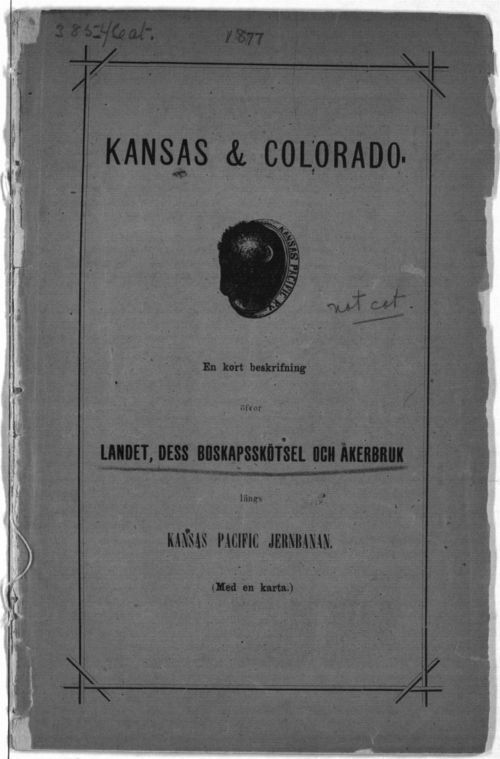 This Kansas Pacific Railway pamphlet is printed in Swedish and is directed at Swedish emigrants. The item promotes agriculture, land sales, and settlement to Swedish emigrants in the area around Saline and McPherson Counties, Kansas. The subtitle reads: A concise description of the land, its livestock and agriculture in the vicinity of the Kansas Pacific railroad.